Recto. From the Map Collection. 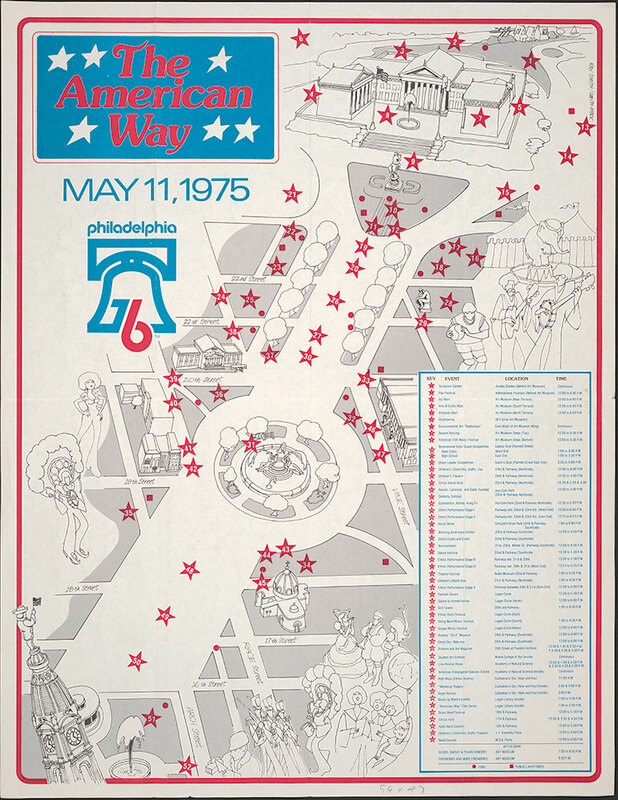 This brochure publicizes the large-scale celebration on the Benjamin Franklin Parkway, "The American Way," sponsored by Philadelphia '76, Inc., and the City of Philadelphia. It took place on May 11, 1975, to coincide with the 200th anniversary of the convening of the Second Continental Congress, and to serve as an opening event for the upcoming National Bicentennial. The festival was, as described in the brochure, a kaleidoscope of music, dance, sports, arts & crafts, parades, concerts, ethnic foods, fireworks, and more.